Why use IC Assist to manage your claim and carry out the repairs? Why use IC Assist to manage your home insurance claim? Well, because making a claim can be very time consuming and a hassle most people could do without. Initially your insurer will ask you to get several quotes. However, quite often this is not necessary, as they are happy to work with just our quote. So if your claiming for repairs to your property, just give us a call. We’ll save you the hassle and stress of dealing with your insurance company and multiple contractors. As insurance claim specialists, we have over 7 years of experience in presenting claims to insurers and Loss Adjusters. We’ll ensure your claim is handled professionally and promptly, right from our initial survey. Once our survey is complete, we will send a detailed schedule of works to your insurer for their approval. We will also include high quality pictures of the damage, which is another thing you won’t need to do! Why use IC Assist to deal with your claim instead of using a general builder? ✓ FREE survey & fixed appointment – we always turn up on time. ✓ Detailed quotes – sent direct to your insurer in a format they accept. ✓ FREE claims management – we can deal with everything on your behalf. ✓ Faster claim authorisation – we chase your insurer to progress your claim. ✓ Quality workmanship – 12 month warranty on all our work as standard. We’re insurance claim repair specialists – so you’re in safe hands. If your property has been damaged, don’t worry – just leave everything to us. After just one call to IC Assist, you don’t need to do anything else. You can relax knowing that we will handle your claim promptly and professionally. We will give you your own experienced Claims Manager, who will work on your behalf – not your insurers! He will deal with your insurer/Loss Adjuster, to ensure your they cover the repair costs (in line with your policy). Our claims management service will take everything off your hands and completely remove the burden from you. We will manage your entire claim, saving you the time and effort of dealing with insurers, Loss Adjusters and contractors. So let us and make your claims experience easy and stress free. We will get your property back to normal quickly with minimum disruption to you and your family. There is no cash outlay for you – Our claims management service is completely FREE, providing we carry out the repairs and manage all works through to completion. We will agree all repair costs with your insurer before any work begins. Therefore, you can be confident that your insurer will pay for all repairs covered by your policy. (After all that’s what your insurance is there for!) You only pay your policy excess. You get quality repairs – All our contractors are experienced and we are fully insured, giving you complete peace of mind that your property is in good hands. 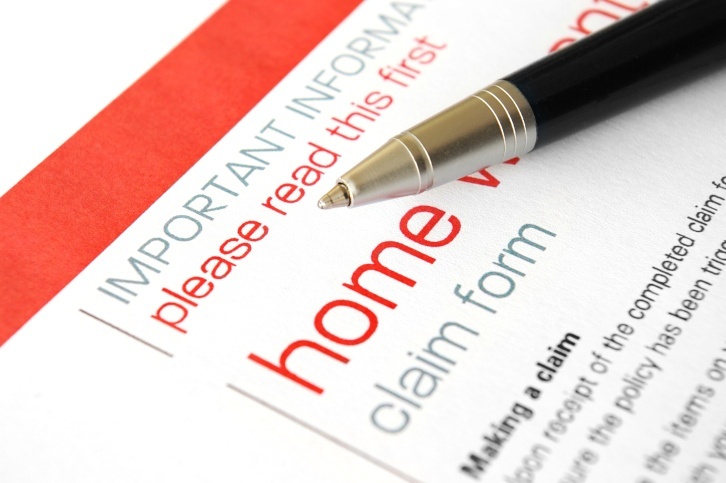 We think it’s important that the whole claims process is as straightforward and stress free as possible. That’s why our team strive to deliver a quality service every time. To find out more about our team and the services we provide, please visit our building services page. What you will get from IC Assist, that you won’t get from a general builder. Professional representation that ensures your interest are protected – Your insurance company may appoint a Loss Adjuster to manage the claim on their behalf. Whilst they may claim that their Loss Adjuster is independent, they work on your insurers behalf. Ultimately, they are trying to keep repair costs down and save your insurer money. On the other hand, IC Assist will meet your insurer or their Loss Adjuster to represent you. This ensures that your property is reinstated in line with your policy cover. Hassle free claims management – Once you appoint IC Assist to manage your claim, you don’t need to do anything else. As we’re here to remove the burden from you so you can get on with your life. Our Claims Manager will assess the damage, submit a quote and agree the necessary repairs. Once your insurer approves your claim, our contractors will carry out the repairs. All work will be overseen to make sure everything is completed to your satisfaction. We’ll take care of everything from start to finish and keep you updated along the way. High quality & personalised service – No two claims are ever the same. That’s why we offer a service which we tailor to you, your property and your policy. 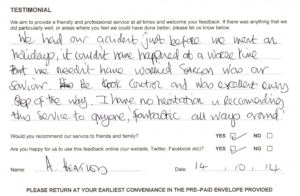 This combined with our high standards and hard work, is how we ensure our customers are always happy with our service. To see for yourself how happy are customers are, take a look at the feedback we have received from our customers on Google, Facebook and My Builder. You can also see handwritten testimonials and customer surveys. You’re fully entitled to appoint us to manage your claim – as we’re able to work with all insurance companies and any Loss Adjusters they appoint.